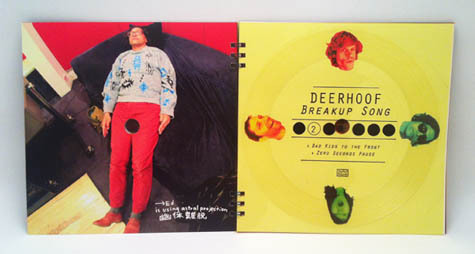 Deerhoof's new LP, Breakup Song, released 9.4. 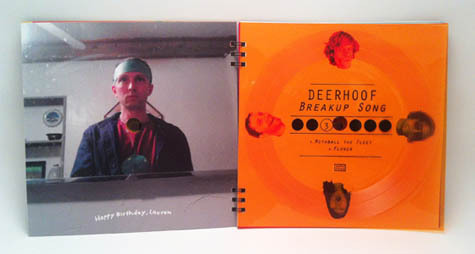 In addition to the cassette version that's been developed by Joyful Noise, there's also a Flexi-Book version. 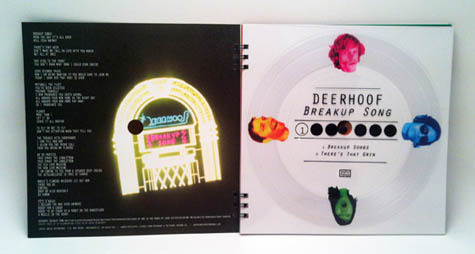 Trust in Joyful Noise to continue adding physical interest to new music. 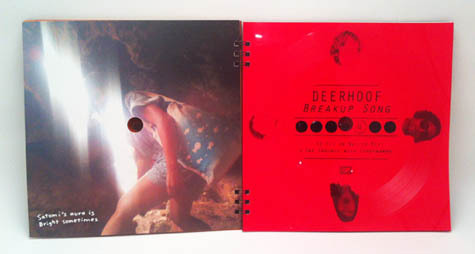 I'll be reviewing the new Deerhoof at some point, likely independent of my go to Web spots. 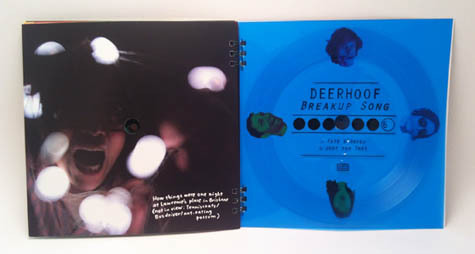 Breakup Song was quickly tapped by a lot of the reviewers with whom I share my usual outlets, but I really like the album so I'm going to add my two cents. 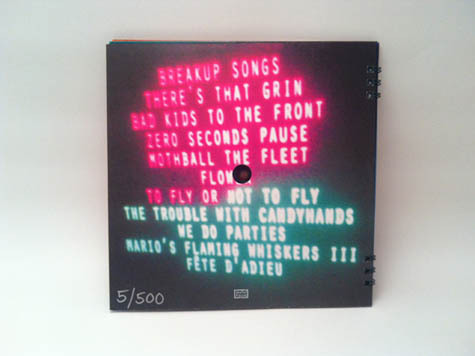 In the meantime, check out the track, "Fête d'Adieu" and watch the instructional how to video on how to play the Flexi-Book. 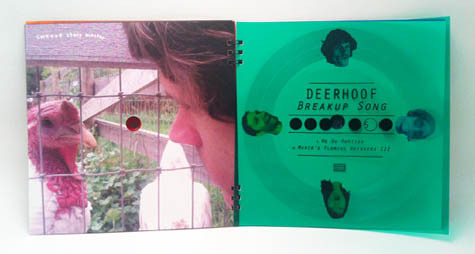 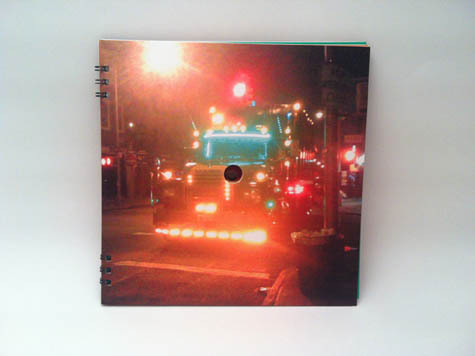 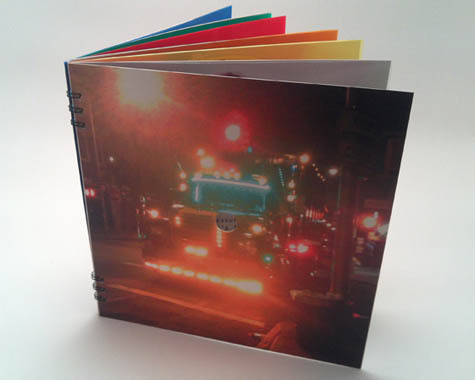 Deerhoof // "Breakup Song" Flexi-Book from Joyful Noise on Vimeo. 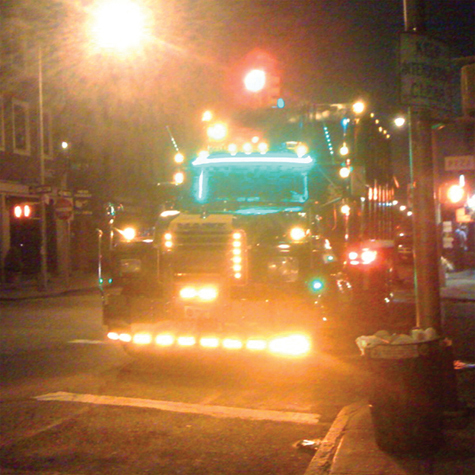 Images are from Joyful Noise.